Mankillers might be a fun romp for those longing for the crappy low budget flicks of the ‘80s and ‘90s, but for me I didn’t find it all that amusing though I did manage to enjoy some of the “performances”, otherwise this release is for die-hard fans only. 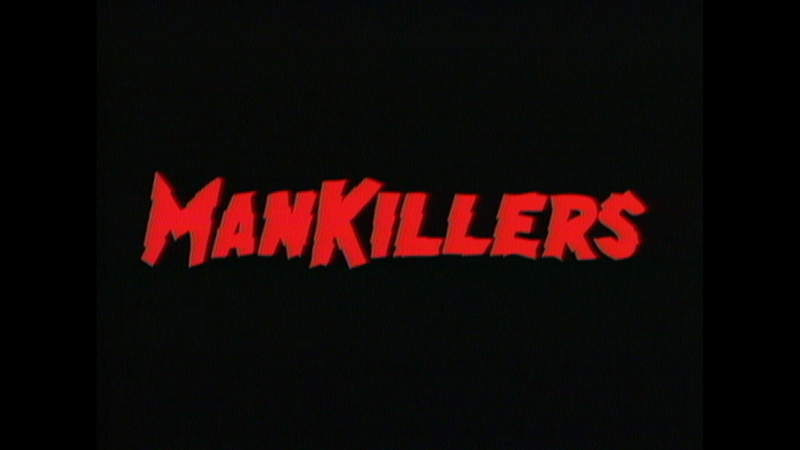 A female homage to The Dirty Dozen, Mankillers features a rag tag group of bottom feeders — murderers, thieves and other assorted miscreants — who, unless they coalesce into a lean, mean fighting machine to stop a rogue agent and the drug cartel that employs him, have the option of a prison cell or the electric chair. Not much here except a Photo Gallery and the Trailer (2:39; 1080i). Slasher // Video releases Mankillers onto Blu-ray presented with a full frame 1.33 aspect ratio and giving it an unnecessary 1080p high-definition transfer. I say it’s unnecessary because honestly, you can’t tell if this was a DVD or even VHS. Detail is soft and colors are utterly drab, though understandably, the studio culled this from various sources so this is probably as good as it gets. The DTS-HD Master Audio 2.0 track sounds OK. Dialogue levels aren’t too bad but it is a limited track, primarily limited to the center track with little to no depth when it came to ambient noises, the music and the few action-centric scenes. That said, it’s at least passable but not by much. Overall, Mankillers might be a fun romp for those longing for the crappy low budget flicks of the ‘80s and ‘90s, but for me I didn’t find it all that amusing though I did manage to enjoy some of the “performances”, otherwise this release is for die-hard fans only. The Blu-ray distributed through Slasher//Video offers awful video, so-so audio and sadly limited features.